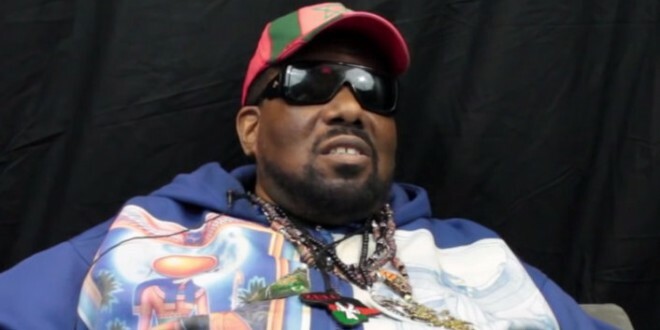 NEW YORK CITY: Hip-Hop Pioneer Afrika Bambaataa Accused Of Molesting Several Young Boys - Joe.My.God. Afrika Bambaataa was not just a hip-hop star when Hassan Campbell began hanging out at his Bronx apartment during the late 1980s — he was also a father figure. When Campbell was hungry, Bambaataa gave him a meal. When Campbell needed a place to stay because of troubles at home, Bambaataa gave him a bed. When Campbell needed money, Bambaataa gave him cash. It was the worst place to be because Bambaataa sexually abused him numerous times when he was 12 and 13 years old, Campbell told the Daily News. “He is a pervert,” Campbell added. “He likes little boys.” Campbell and several other men told The News last week that they were sexually abused by Bambaataa, the South Bronx hip-hop pioneer whose 1982 hit “Planet Rock” helped turn rap music into an international phenomenon. The men stepped forward after The News published a story last Sunday about former music industry executive and Democratic Party activist Ronald Savage, who claims Bambaataa abused him at least five times in 1980, inflicting deep emotional wounds. Current New York state law bars child abuse victims from pursing criminal charges or filing civil lawsuits after their 23rd birthday. This week the Daily News reported that disgraced former New York Assembly Speaker Sheldon Silver dropped his support for a 2009 bill that would have ended those time limits after his former aide and mistress was hired by the Catholic Church to lobby against its passage. A new bill to suspend those limits was co-sponsored last week by openly gay state Sen. Brad Hoylman. VIDEO: Rolling Stone ranks Planet Rock at #240 on their “500 Greatest Songs Of All Time” list. The track samples the melody from Kraftwerk’s iconic 1977 smash Trans Europe Express and the lyrics use Kraftwerk’s counting motif from their 1981 hit Numbers.